The Kerala floods in recent days have claimed as many as 94 lives and also caused massive damage to various parts of the southern state. 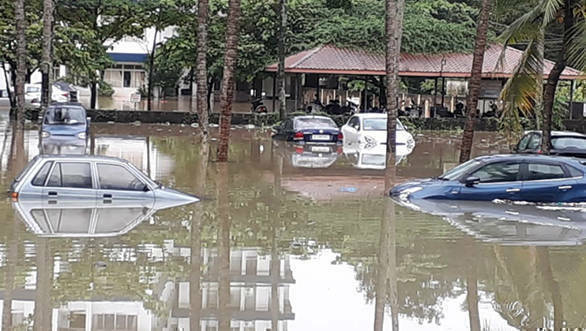 As everyone affected takes stock of the damage, there is also a major setback in terms of damage to parked vehicles which were inundated or washed away by the floods. Stepping up to help its customers with such damage vehicles, Nissan India has announced that it is extending support to them. The comprehensive service support covers the Nissan and Datsun customers in the state. The company has set up special emergency repair teams and additional trained manpower has been designated from dealerships in neighbouring states to expedite repair times for affected vehicles. It is also offering a free towing service for these vehicles. Nissan India has also issued an essential safety advisory and set up a 24-hour special desk (Helpdesk Support Number: 022-62613360) for faster insurance claims and settlement for flood-affected vehicles. If you are an affected Nissan India customer, you can find the details from this toll-free helpline number: 18002093456. Speaking about the initiative, Sanjeev Aggarwal, vice president (aftersales and supply chain) of Nissan Motor India Pvt Ltd said, "We empathise with the current situation in the state of Kerala and are taking necessary measures to extend support to our customers in the state."